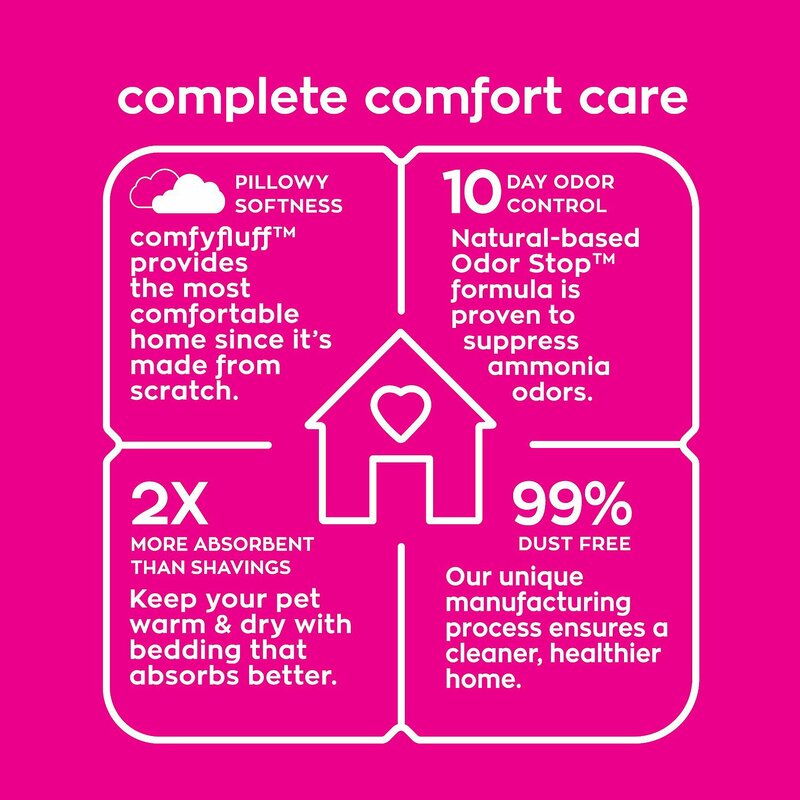 I use this bedding for my ferret and sometimes she will use the bathroom on it. Granted, it does soak up her urine and doesn’t move around much but it feels like paper. It’s hard to describe but the product crumbles, like hard paper pieces. It doesn’t hurt her feet, it’s just not as soft as I was expecting. 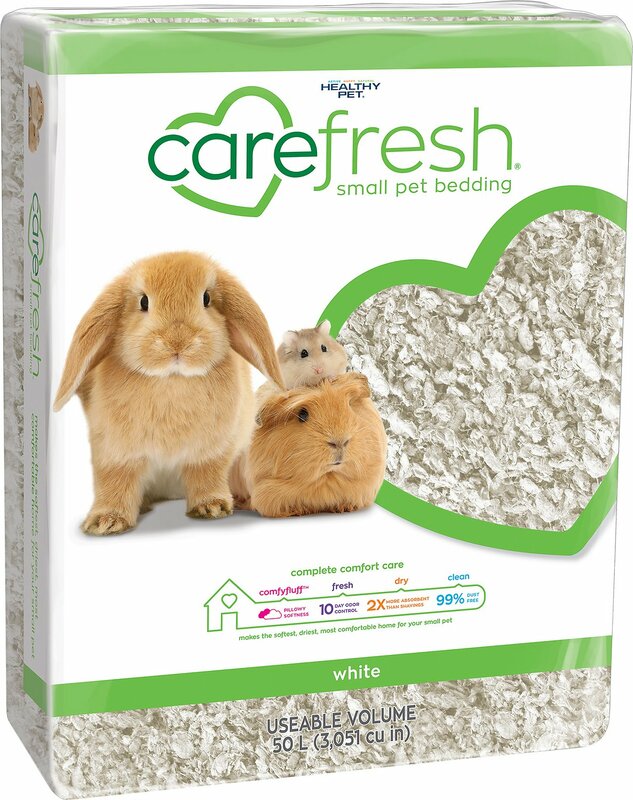 Jayne absolutely loves this bedding - and I love that it is dye-free, absorbs the small animal smell, and makes cleaning her cage a breeze! Great Quality, Customer for Years! 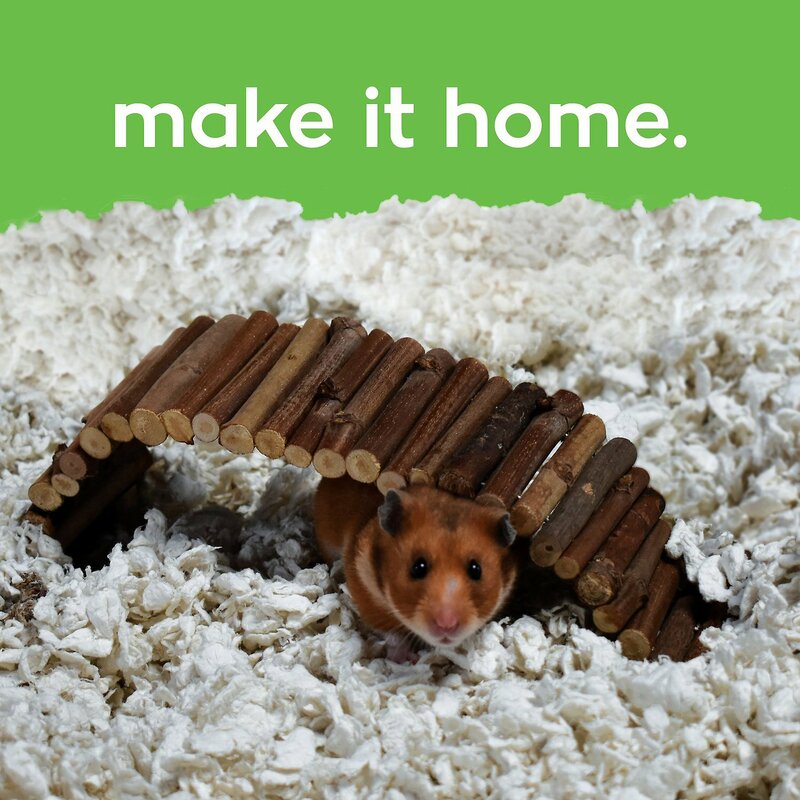 I have used this bedding for all three of my hamsters throughout the years and it has always been my favorite. The quality is consistent and always fluffy, making the price tag worth it. However, you can often find it on sale so it is an even better deal! Very minimal dust, which is good since dust is bad for small animals. I believe whatever animal you have this bedding will do the job. 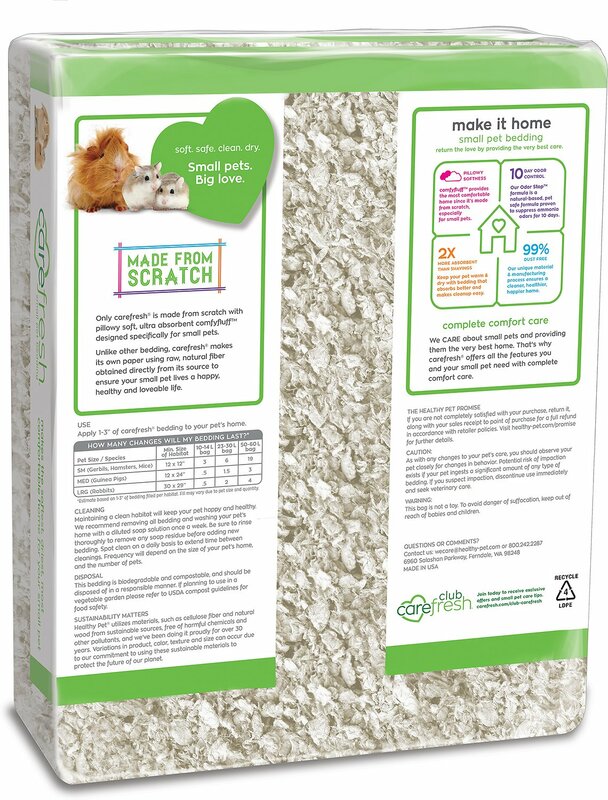 Easy to clean and keeps the mess away from the hamster while he plays. Not only does the white show all the excrement, but the bedding itself is incredible hard and rough. I had trouble even breaking it apart to put it in the cage. I use this bedding for my little pigs and they love it. Have tried others and they didn't like it they would move it all out of their houses. With this bedding they don't and when I don't have any they let me know what is missing. This product is an excellent, cost effective, Light weight, and far cleaner choice than traditional clay litter. It's the litter I use for our 6 cats.